Washington, Dec 1: President Pervez Musharraf has said that the West must share the blame for Pakistan’s current political crisis. "If there’s a failure, it’s not Pakistan’s failure," recalling that after 10 years of being together in the Afghan "jihad", the US had left Pakistan alone to deal with the aftermath, he added. Participating in an interview with ABC, Musharraf said that after the January 8 elections, a situation develops that is "absolutely unacceptable to me, I have a choice of leaving." Commenting on a power-sharing deal with former premier Benazir Bhutto, Musharraf said: "I am not in any deal with anyone. We are in a stage where we have to have fair elections. We have to see after the elections how things develop. If the situation develops in a manner which is absolutely unacceptable to me, I have a choice of leaving." "Come hell or high water, elections would be held on January 8," he said. Musharraf insisted that his political moves had been in reaction to the opposition’s tactics. "The opposition, they have all along these five years tried to destabilise me and the government. You have to understand, we don’t want agitation here... Agitation means breaking down everything, burning things. 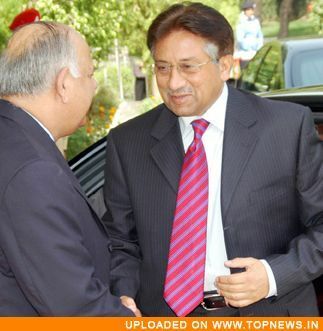 That cannot be allowed," Musharraf said.